NEED ARTISTS FOR PUBLIC PROJECT! 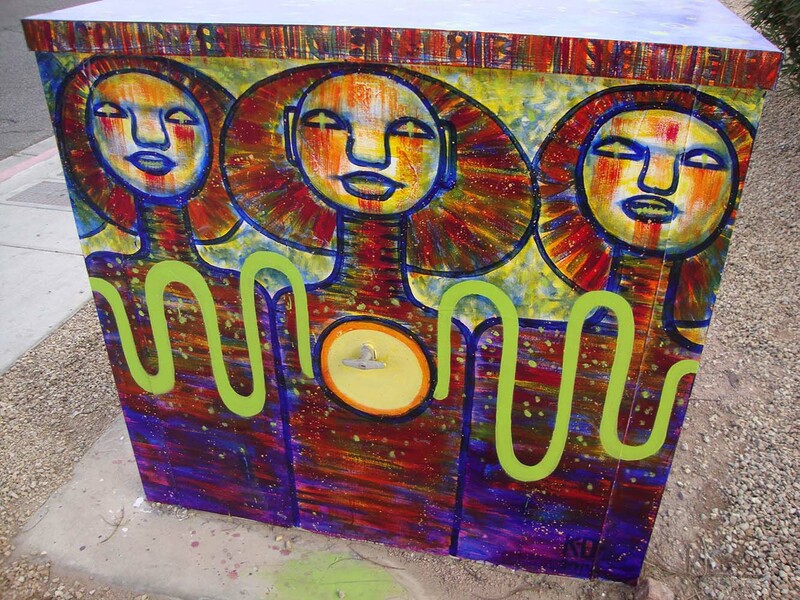 We’ve all seen the various artfully painted metal utility boxes around Las Vegas. They offer a much needed visual break to the tedious wait at stop lights. They can be whimsical, thought provoking, or just colorful images, but they are always a site for road blurry eyes. Clark County’s 11th public art project, ZAP 9! : ZAPPED ON THE WAY TO LONE MOUNTAIN, is getting underway to artistically beautify the Lone Mountain area in northwest part of the Las Vegas valley. 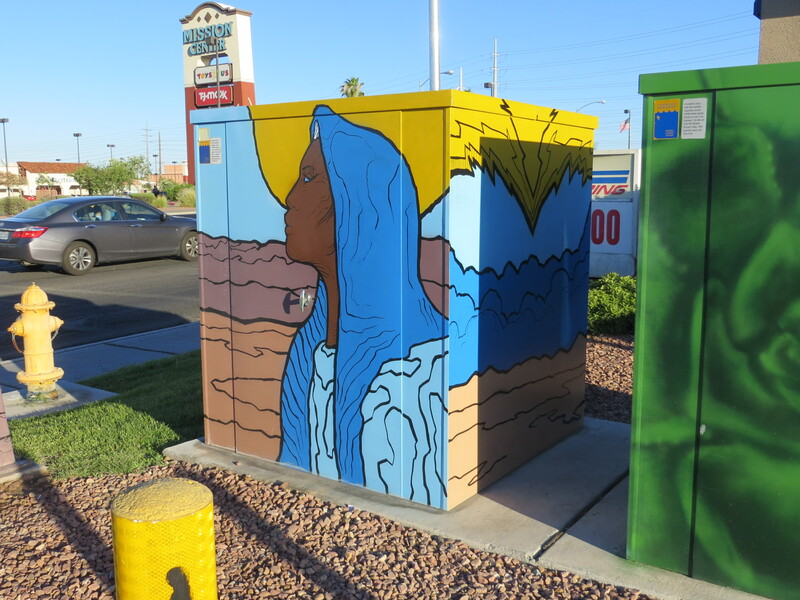 The county is soliciting proposals from 15 individual artists to paint utility boxes located on the streets in the Lone Mountain area. This highly successful art project, using local community artists, has been in existent since 2005. ZAP 2 through 8 has added interesting and artistic value to several neighborhoods in Clark County Nevada, including Winchester, Paradise Park, the Historic West Las Vegas, Cambridge, Desert Breeze Park, Whitney, Parkdale, along Maryland Parkway and even Laughlin, Nevada. Now is your chance to be a part of the beautification of our city! Clark County is accepting proposals until October 28, 2016 at 3:00 PM. For more information, contact our office, Construction Notebook and we’ll email you free of charge more details on ZAP 9. This is your chance to have your artistic ability on public display! ‹ Project Neon: An Exciting Change to the Las Vegas Freeways! › Groundbreaking Event for the Las Vegas NHL Practice Facility!